Top: Flitestar Airbus A320-211 custom made wooden model, registration is ZS-NZP. Flitestar operated four, ZS-NZP “Polaris”, ZS-NZR “Rigel”, ZS-NZS “Sirius” and ZS-NZT “Taurus”. Middle: Flitestar ATR-72-202 plastic model. Flitestar had two of the type, ZS-NDI and ZS-NDJ. 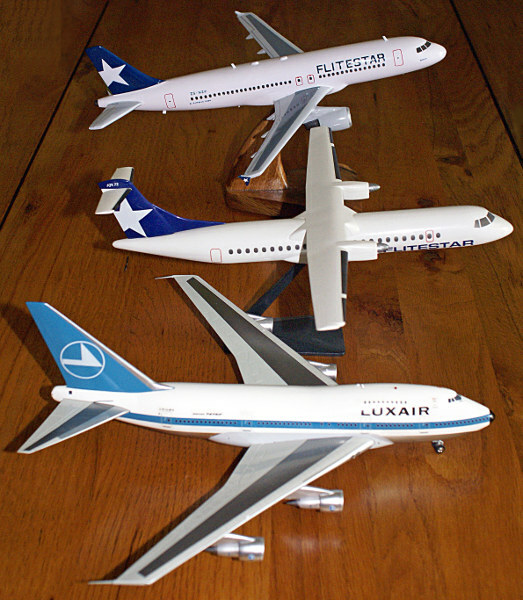 Bottom: Luxair Boeing 747SP Diecast model. 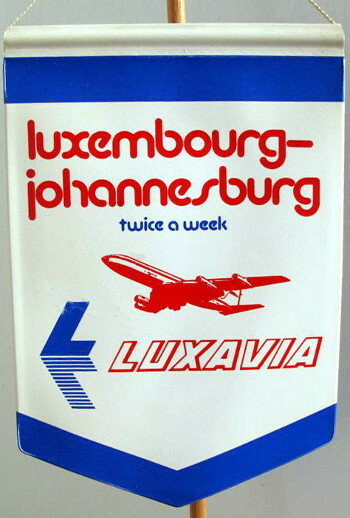 Luxair had one SP in their fleet, LX-LGX.